This resonates both loudly and quietly at the same time. Beautiful. So lovely put, yet it’s difficult to remember in my day to day and when I struggle. 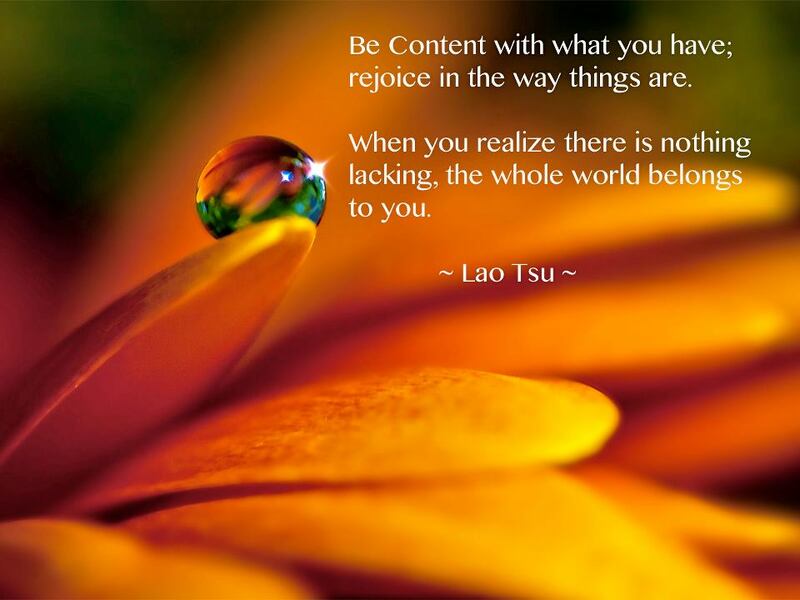 I like this quote a lot, just as I like the quote you selected for your Wisdom of the Tao page. I am curious, however, to know how you deal with apparent contradictions in such quotes? For example, in the quote for this page, we are encouraged to accept ourselves and the world around us as is; yet in the quote on your other page, it would seem we are encouraged to let go of what is, to embrace what might be.